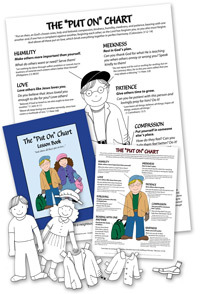 We Homeschool 3 children under 8 (2 boys, 1 girl) who Love this Chart and enjoy the daily reading, coloring the paper dolls and Bible verse memorization. I incorporated a song for each verse so when they offend we look to this chart for correction. 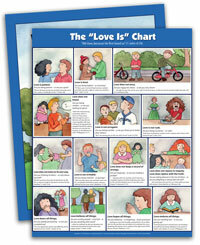 We have many new Homeschool moms who come to our home and see the chart. They watch us correct with the "Put On" Bible Verses and ask where to get this chart. Instantly, we give them Doorposts website. Thank You for Blessing our family. Doorposts has done it again! I am blown away by the simple, thourough ideas you come up with. The put on poster is in our living room and i am going through the book very slowly with my 2 and 3 year olds. We spend about 2 weeks on each character trait. It has really helped me to define what the trait looks like and to explain it to my little ones. Although mine are too young to apply this teaching much yet, i can tell this is the sort of product that i will want to go through and reference again and again and my little three year old loves to ask "whats on hands- compassion, whats on feet- kindness" etc. pick one up, its a few dollars you wont regret spending. I enlarged the boy and girl, colored it, laminated it and put magnets on all the pieces. I taped the chart to the fridge. I remind the children and they remind me of what we need to put on. This little chart is a BLESSING. It gets used in this form. I also tried to make the paper doll form gluing it to an old cereal box, but it just didn't get played with - the pieces got lost and it just didn't work as well as putting the put-on chart on the fridge. That is a place that gets accessed multiple times a day. I am steadily building up to owning all of what you offer, but starting off with this Parenting Essentials which includes this little chart has been GREAT. To God be the glory. I just want you to know how much I have enjoyed using this lesson. 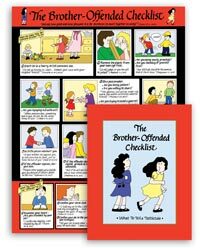 I teach 3-4th grade students in a Christian School. 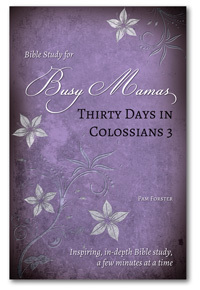 I used one quality each day for my Bible Lesson and our monthly scripture was the scripture used in the main lesson. I also got to present all the character qualities in a chapel service for the K- 7th grade. We all enjoyed it so much. Thanks for the material, we loved it. 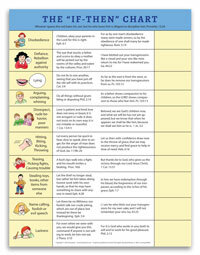 This is an excellent, easy-to-reference chart that helps me as much as the children. I absolutely love this chart! It is so wonderful in teaching the children the different characteristics that are important to our family in representing Jesus. Even more wonderful is the constant reminder I have as a grown adult in remembering the importance of these characteristics and making sure that I am modeling them for my children. We love it! It has been a lot of fun and it will be a part of our daily Bible time to keep on reminding us of the importance of "putting on" Christ-like character. God bless.